DANKO JONES ANNOUNCE LIVE DATES! Eighteen years. Twelve albums. Thirty-plus transatlantic treks. Fifteen Top 40 singles. 350,000 podcast downloads and counting. Arena tours across 11 countries with Guns N Roses. A video trilogy starring Elijah Wood and Ralph Macchio. A feature- length documentary. These are just a few of the achievements that DANKO JONES have racked up over their history. Catch them live in Whelan’s on 18th September for one night only and bag yourself a pair of tickets! Details below! Include personal invites from Lemmy to join Motörhead on the road (and on water, for the 2014 Motörboat cruise). For most bands, that would amount to a hell of a career. 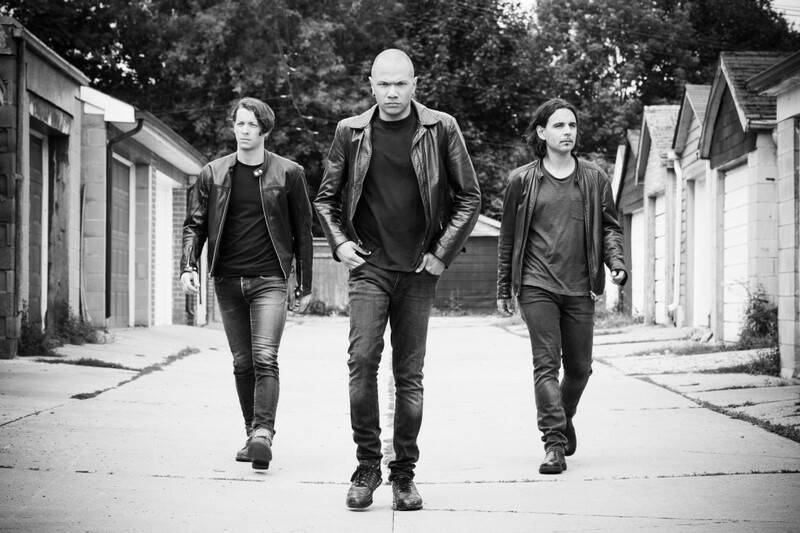 For Toronto trio DANKO JONES, it’s called “warming up.” The Canadian three piece Hard Rockers will be taking to Whelan’s intimate stage to do what they do best. The music of DANKO JONES has always doubled as a form of therapy, a physical and emotional release for those times when love is unkind. Fire Music (their latest album to record) happens when therapy doesn’t work, when all that pent-up agitation is left to stew and gets expelled into pure, merciless, violent rock ‘n’ roll fury. “You don’t listen to love anymore,” Danko sings to the titular “Wild Woman” of the album’s opening track—so, he reasons, perhaps she’ll listen to hate. No doubt, the recruitment of new drummer Rich Knox—formerly of southern-fried Toronto rockers Flash Lightning—has had an adrenalizing effect on band co-founders Danko and John “JC” Calabrese, his rampaging rhythms pushing the veteran duo to new extremes of intensity. With Fire Music, you get an album that burns at both ends, showcasing Danko Jones at both their most energetic and eclectic, like a greatest-hits career retrospective made up of all-new material, delivering blasts from the past while blazing trails into the future. In January this year, Danko Jones landed themselves the soundtrack for WWE Royal Rumble. Check it out the teaser here below. Tickets: €22.50 includes booking fee charges, on sale Thursday at 10am from Ticketmaster and Sound Cellar. For more information on this show, check out MCD for all the details. 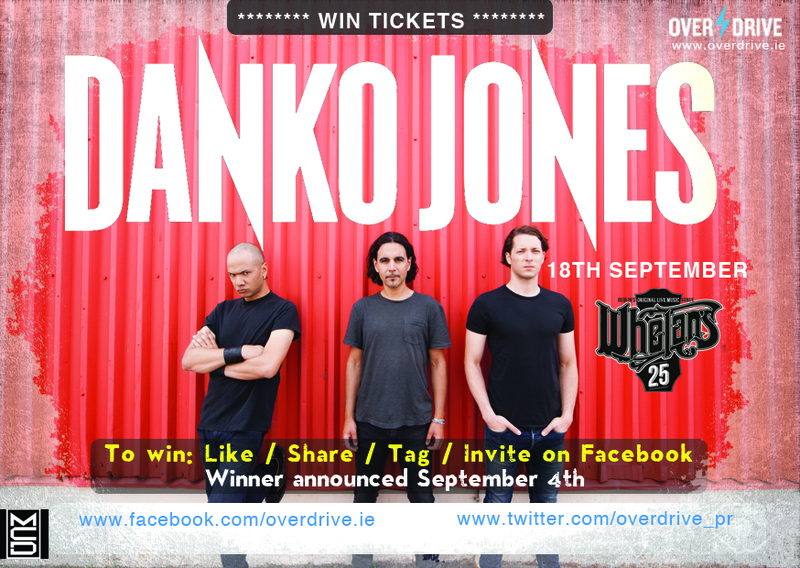 For your chance to win a pair of tickets to see DANKO JONES in Whelan’s, just click on the graphic below and share it on your facebook timeline with “overdrive” tagged in the comments section. We will be picking a winner on Friday September 4th. Good luck!